No matter what the economic conditions are throughout the country, there will always be a need for the trucking industry to deliver food and other consumer goods to stores throughout the United States. In addition, there are other rationales for Elk Grove Village residents to sign up for Wolf Driving School to take CDL Training to become truck drivers. One justification is because of the good pay. Drivers frequently average $35,000 in their first year of driving. After that, it is not unusual for them to make about $45,000 to $50,000 annually. Better yet, experienced drivers with their own equipment can earn as much as $100,000 or more a year. 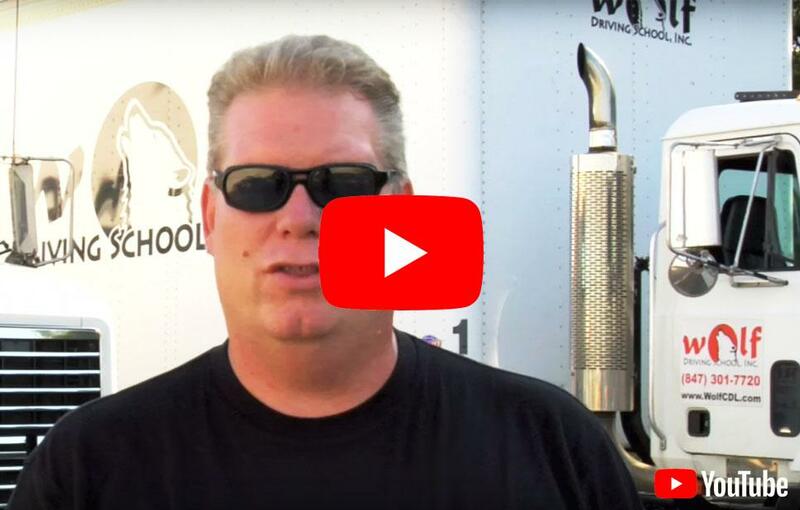 The instructors at Wolf Driving School have been providing training to Elk Grove Village -based students to take the required CDL training and truck driver training so they can pass their examinations. We also carry CDL Class A training (the highest possible truck licensing) classes for additional endorsements such as: driving tankers, triples, passengers or hazardous materials. Our company is founded on the critical fundamentals of Honesty, Reliability, and Quality. Wolf Driving School employs only the finest, well-trained and capable instructors, and our rigs are also the best and the safest in the business. Wolf Driving School CDL training and truck driver training classes can adapt to the schedules of the busiest of students, so that they can both work and study at the same time. We endeavor to assist our students in achieving their goals and objectives, as well as training them to be successful, safe, and confident drivers. Glendale Heights, Illinois is located in DuPage County. It has a population of 31,466, with 11,184 households. The median household income is $65,066. The median housing value is approximately $188,756. Over the years, it has experienced a significant growth in population and within the business community. It’s added shopping centers, industrial business parks, neighborhood parks, modern service facilities, and three excellent elementary school systems. The positive influence of many improvements in the Village, including the opening of numerous large national chain stores, all unmistakably echo the vibrant character and the vitality of the community. Glendale Heights has become an attractive, growing community, which boasts within its boundaries modern business parks. It has a definite need for CDL licensed truck drivers because of the considerable office and retail growth within the city. Food and household goods are transported into the city, as well as the majority of retail goods shipped throughout the state and the country. Recently, some Glendale Heights residents have enrolled in the Wolf Driving School for CDL training/truck driving training classes. Just ask the recent Glendale Heights graduates from Wolf Driving School why you should enroll in CDL truck driving school. They will tell you that in addition to good pay, trucking offers a wonderful chance to explore our great country. Sign up for CDL Training and Truck Driving Training today, especially if you have an itch to travel and see the U.S.A.! Because they deliver as much as 80% of all our products, truckers continue to play a critical role in the nation! We can assist you in getting both your CDL and a good job at Wolf Driving School. Call us today to begin a life-altering career in CDL training/truck driving training classes. Get your Commercial Driver's License in minimum 160 hours and start earning money. Our schedules are designed to be flexible for the student. We offer job placement. We want you not only to pass the exam but to be successful, safe, and confident behind the wheel.